I really appreciate all of the questions that I get from my readers. Today I’m joined by my boys and we’re answering reader questions about life and autism. 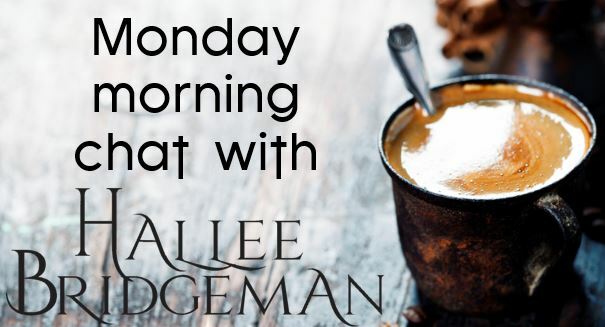 This entry was posted in About Hallee, Autism, Blog, Life, Monday Morning Chats and tagged asd, author bridgeman, author chat, author interview, autism, coffee and chat, halle bridgeman, Hallee Bridgeman, monday chat, parenting, parenting autism, parenting boys, q&a with author, vlog. Bookmark the permalink. What fun boys you have! Lots of energy in your house. Thank you for being open and please thank your sons as well. It is always so helpful to have a glimpse into somebody else’s life. My son has ADHD, I find myself having to explain a lot of things to people about ADHD. Sometimes it feels like I am sharing such basic information the whole world should know it, but I realize that not everybody does. Blessings to you and your family! Thank you so much, Melissa! Scott didn’t really know what to talk about, so we were happy people provided questions.